Blackfoot Challenge The Blackfoot Challenge is a landowner-based group that coordinates management of the Blackfoot River, its tributaries, and adjacent lands. Citizens Technical Environmental Committee (CTEC) Butte Based in Butte, CTEC provides technical comments and public outreach on the Superfund process for Silver Bow Creek and other sites. Clark Fork Coalition The Clark Fork Coalition is dedicated to protecting and restoring the Clark Fork River basin, which stretches from Butte, Montana to Sandpoint, Idaho. Clark Fork River Technical Assistance Committee (CFRTAC) CFRTAC is a diverse group of Western Montanans who have volunteered to work with the EPA, the responsible parties, and others to try to make the Superfund process and cleanup options understandable for all. Clark Fork Symposium An online and ongoing conference on science and policy aimed at the conservation, preservation and restoration of the Clark Fork Basin. Montana Department of Environmental Quality (DEQ) The DEQ’s mission is to protect, sustain, and improve a clean and healthful environment to benefit present and future generations. Montana Environmental Education Association (MEEA) The MEEA promotes and celebrates an environmentally responsible citizenry through education and the support of a statewide network of professionals, students and volunteers. Montana Natural History Center The mission of the Montana Natural History Center is to promote and cultivate the appreciation, understanding and stewardship of nature through education. 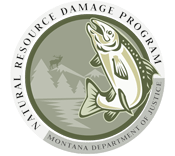 Montana Natural Resource Damage Program (NRDP) The NRDP was created in 1990 to prepare the state’s lawsuit against the Atlantic Richfield Co. (ARCO) for injuries to the natural resources in the Upper Clark Fork River Basin (UCFRB). Montana Trout Unlimited Montana Trout Unlimited’s mission is to conserve, protect, and restore Montana’s world-class coldwater fisheries and their watersheds. Montana Watercourse A statewide water education program that supports water resource decision making and stewardship by providing unbiased information, resources, tools and education to all water users, housed on the MSU Campus in Bozeman, Montana. The University of Montana Bird Ecology Lab The Bird Ecology Lab contributes to knowledge of avian ecology through a combination of original research, long-term and ecological effects monitoring, education, and community engagement.